Allen feels that his early training in the arts and humanities was excellent preparation for his work as a financial planner, the most fulfilling work he has ever done. He has supplemented his BA (Temple University) and MA (UMass/Amherst) in English and his private study of music with his training as a Certified Financial Planner and Chartered Financial Consultant, as well as study toward the Chartered Adviser in Philanthropy designation. Literature and the Arts are all about the connections between things – the seen and unseen, past and present, sound and silence, the head and the heart, appearance and reality -- and making and finding connections is what financial planning is all about: the daily facts of life and its overall arc and trajectory, the material details of cash flows and rates of return and the larger purposes and meanings of life, community, and family, what we feel and what we know to be true. A financial plan is an illuminated journey through all of these, and gives us the tools for understanding ourselves over time in relation to our money, our hearts, and our minds. Allen’s early working years in the Valley were spent trying to fuse higher education and social change – cluster college “living and learning” experiments, and “University Without Walls” experiential education for working adults. He helped organize educational programs focused on America’s great contribution to world culture, jazz music, in ways that promoted awareness of the foundations of social discord, and the possibility of harmony and social justice. 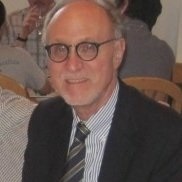 But his great achievement during these years was his leading a successful class action suit on behalf of 200 Massachusetts State part-time and “temporary” workers in their efforts to earn legitimacy and full employment benefits – his devotion to planning, financial education and retirement planning was born! Allen moved from education to business, and following several small retail ventures, he created and ran a successful technology-specific Executive Search company for 15 years that led to a venture funded NYC based Internet startup. Along the way he founded Mak’hela, the Jewish chorus of Western Massachusetts, and participated as a Board member of a number of Valley organizations, most recently the UMass Fine Arts Center, where he served as Chair and a cofounder of its Valley Jazz Network. He is an active member of the Jewish Community of Amherst, where for many years he has played a major role in the creation of their musical explorations and presentations. He currently teaches his “Principles of Financial Planning” course at Elms College as part of their MBA curriculum. He continues pursuing his lifelong passion for music, and plays double bass and piano whenever he can. Allen lives in Amherst with his wife, Dr. Judy Davis, a family therapist and author. They have two sons -- Lou, who is a partner of the firm, and Eric, a playwright, composer, and software specialist. His two grandchildren, Asher and Izzy, are the best grandchildren in the world, of course!